One of RateHub's largest broker clients is contemplating legal action against a former employee now tapped to head the rate site’s online brokerage, currently in development. 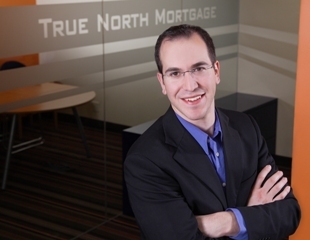 James Laird stepped down from his post as COO with True North Mortgage in late June and -- at the time -- the split seemed amicable, according to Eisner, who said the plan had been in the works for months. However, the announcement that Laird will head-up RateHub.ca’s fledgling mortgage brokerage arm caught Eisner off guard he told MortgageBrokerNews.ca in an exclusive interview Tuesday – especially due to the fact that Laird had signed a non-compete clause. Many brokers using the popular rate site have already begun to question its decision to join them in offering broker services on the site. According to Alyssa Richard, CEO of RateHub, Laird had been tapped to make the transition to the popular rate comparison company while still working for True North. This is a very hard thing to do IMO, and not a good strategy with respect to a site like ratehub, that has made its money on shopping rate only. I'll let Alyssa and her team figure out why this is the case, though.